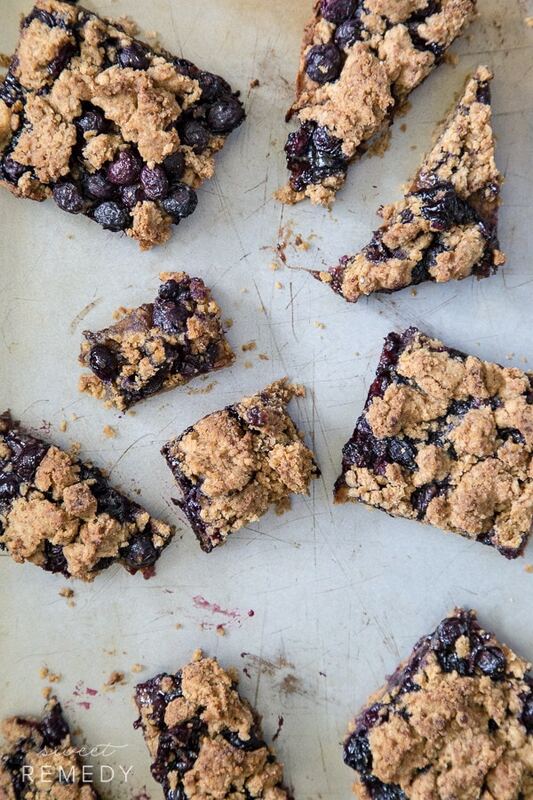 These blueberry crumb bars got a makeover. 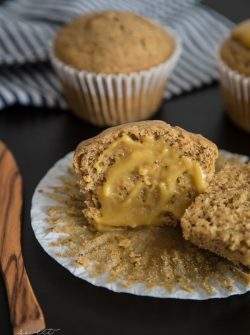 This updated recipe has been made healthier with whole grains and is still just as good as the original recipe! It’s that time of year where everyone is obsessing with blueberries and the markets are starting to fill up with ripe & juicy fruits. My market haul today consisted of 3 different kinds of berries, peaches, & sugar plums; along with sweet corn, green beans, and carrots! 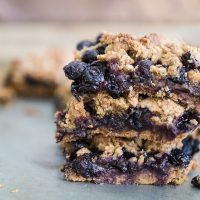 The great thing about fruit & crumb bars: you can substitute basically any fruit you have on hand or whatever fruits are in season and it will still be a gratifying seasonal dessert. Some substitution ideas: strawberries, raspberries, blackberries, or even sliced & peeled peaches. Why not try some cherries, plums or nectarines! Go crazy. Have fun! Another variation for cooler weather would be to utilize the growing pumpkins. 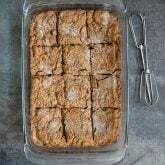 Mix some fresh pumpkin puree and add cinnamon, clove, ginger, and allspice and there you have it… pumpkin crumb bars! Maybe make use of the abundance of apples and pears in September. I am thinking very far ahead, aren’t I? 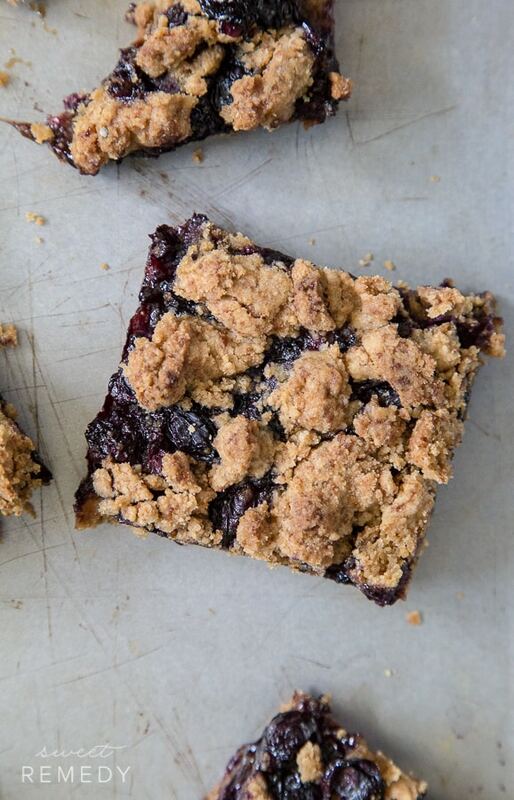 For now, berry crumb bars! Get to it! 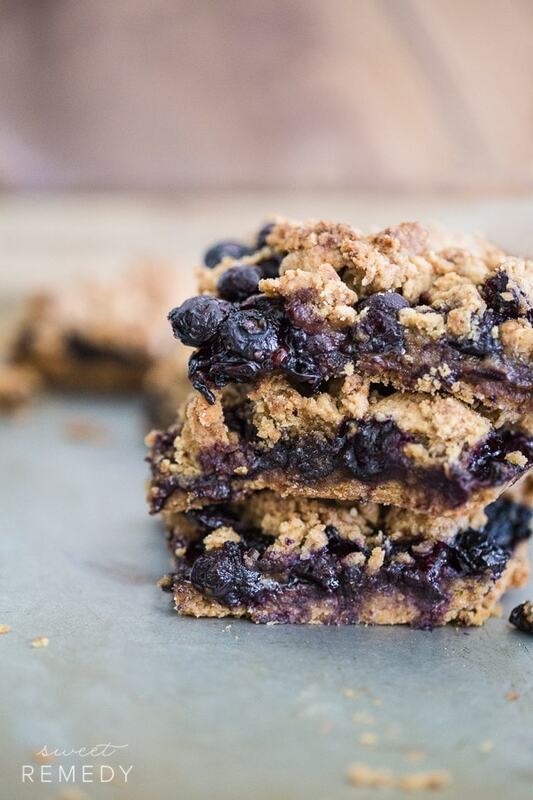 These blueberry crumb bars just a little bit better for you with the addition of whole grains! 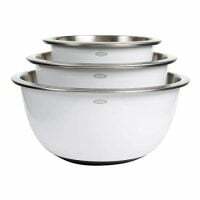 Coat a 9x13 inch pan with butter or non-stick cooking spray. Stir together the sugar and arrowroot starch or cornstarch. Gently mix in the blueberries. Set aside. In a medium bowl, stir together the sugar, flour, and baking powder. Mix in salt and cinnamon. if using. Layer the blueberry mixture evenly over the crust and crumble left over dough onto the berry layer. Bake for 45 minutes, or until brown on top. This post and recipe were originally published on July 27, 2011. The photos and recipe were updated on June 25, 2015. Blueberries are my daughter’s favorite snacking fruit. 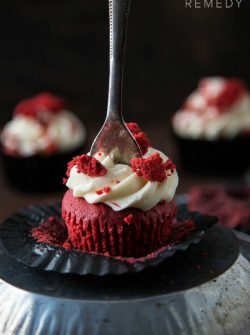 These look like a dessert she would really enjoy. Yum! Oh this just looks so delicious. We really love blueberries!! 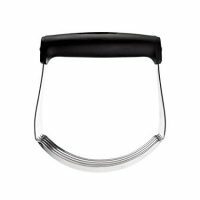 Is the white sugar listed in the recipe powdered sugar or is it the same cane sugar use in the beginning of the recipe? Both sugars listed are white cane sugar. Sorry for any confusion. Glad you made them! Your adaptations sound lovely! Is the butter to be room temp or refrigerator temp? Room temp is a good rule of thumb when baking. Has anyone used frozen blueberries? I don’t see why it wouldn’t work 🙂 Give it a shot! Tried the recipe with frozen blueberries. Came out great!!!! Did you thaw the frozen blueberries first? I wouldn’t. I’d just throw them in as is and bake. Hope that works out for you. I think it will be okay. Made these today for a baby shower – everyone loved them! I used frozen blueberries (did NOT thaw prior to baking) – turned out GREAT! Definitely making them again. Thanks for sharing. I have found this recipe on Pinterest and made it for Easter brunch. It was soooooo good, but so high in calories! 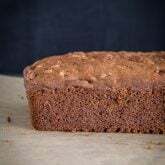 I will definitely need to find a way to cut some calories, because I want to make them again! I used frozen (not thaw prior baking) and fresh blueberries. 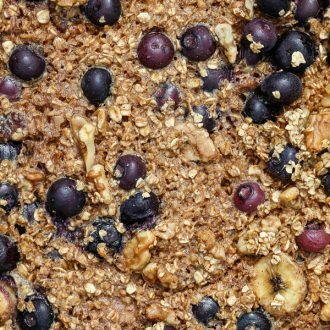 Do you mix in whole blueberries or do you crush or puree them first? I mixed in whole blueberries but I’m sure you could also crush/puree them. Made these bars, but added raspberries and strawberries to the mix, turned out delicious!! The dough is so tasty, and it is easy to bake. Thank you for sharing Sam! I used black raspberries instead and it was divine! !! About 9 bars depending on how big you cut them. 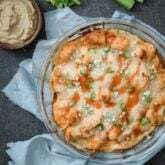 The recipe fills a 9×13 dish. Tried the blueberry recipe came out great! About to make it again, this time with banana’s as the fruit and one part oats for the flour mixture. Im sure its going to be deelish!! Made these a couple days ago, added one teaspoon cinnamon. Absolutely wonderful! We all loved them. I did have to bake them for an extra fifteen minutes. Thanks so much for sharing. 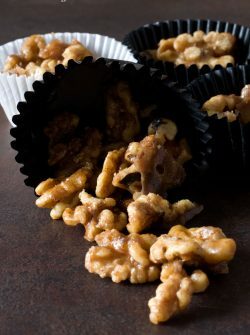 I made these last month and they were divine! 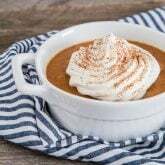 Now that fall has arrived, have you tried the pumpkin in place of the blueberries yet? I was interested in trying it, but wanted to know how they might turn out. Thanks! 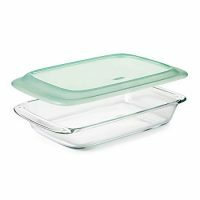 Should the leftovers be refrigerated? Can salted butter be used? I don’t have any unsalted on hand. Or is there a substitute? Hi Sarah, Yes you can use salted butter in place of unsalted. I made this today, exact to your recipe (I usually change something). It was a huge hit!! My Littles loved it! Perfection! Why did you change the recipe from the original that I pinned a year ago? I really enjoyed the first recipe you posted & am disappointed that I can’t find it now.